Field Day will be holding its annual music festival at Meridian Water this Summer. 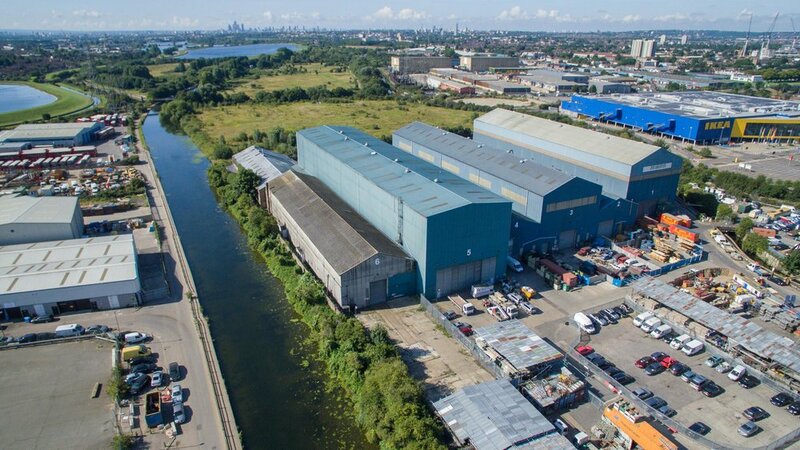 Following its success in attracting the Field Day festival to Meridian Water, Enfield Council is looking for partners to take over two other sites for meanwhile use as development across the site gains momentum. Meridian Water is Enfield Council’s £6bn, 20-year London regeneration programme which will provide 10,000 homes and 6,000 jobs. The Teardrop and Stonehill sites will deliver new meanwhile spaces for potential tenants and occupiers, creating new jobs and opportunities for local people on a scale which will transform the employment base of the borough. “The Council is committed to providing world class housing, community and employment at Meridian Water and we are keen to get partners who can offer good quality jobs and opportunities to our residents as the development takes shape around them. “These are incredible opportunities for businesses to set up within a location which has great transport links, a highly skilled and well trained workforce on its doorstep and the opportunity to help shape one of London’s most exciting developments. Applications for businesses to apply for the two sites, which make up 0.83 and 7.5 acres respectively open from the 12th January, with the deadline for submission of proposals on 22nd March 2019 and Enfield Council hopes to have finalised the details of leases by May 2019 which will be for a period of 12 years. The Council is particularly open to proposals which demonstrate that they will contribute to our ambition to make Meridian Water a vibrant destination from day one, including maximising the number of visitors to the area. The first stage of the development, Meridian One, will see the first 725 homes built at Willoughby Lane, alongside new public squares, shops and leisure facilities. Outline planning permission is already in place and construction enabling works started in January 2017. These homes will be delivered around the new Meridian Water train station, which is due to open in summer 2019 and will serve up to four million passengers each year at its peak. Businesses can get more details by visiting www.stonehillsite.co.uk and www.teardropsite.co.uk.